This piece sounds identical to the steady drum of mainstream media articles that have been written over the past week. The only problem is this article was not written in the past week. It appeared in the New York Times on August 26, 1976. Gold had just declined from a high of $200 down to $103. 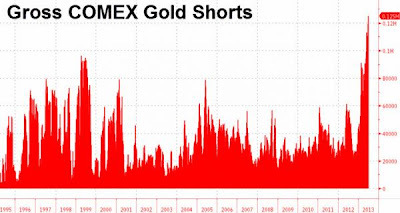 This article was written four days after gold bottomed. What would happen from there? 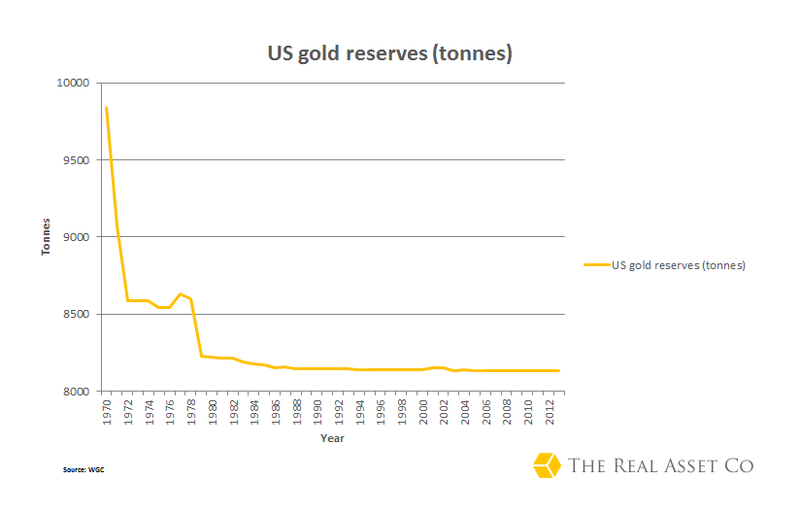 Gold would launch over 800% to $850 an ounce just a few years later. Yahoo! Finance: "Gold Is Unsafe At Any Price"
Bloomberg: "UBS Says QE's End May Render Gold Obsolete"
Entering the week gold had experienced the lowest 10 day average on the Daily Sentiment Index in the 26 year history of the index. 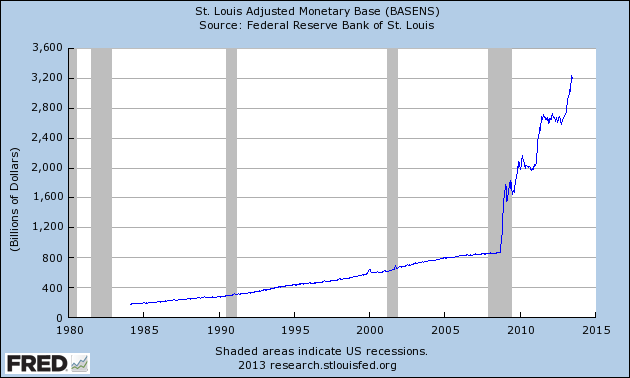 That includes the bear market bottom years in the early 2000's and the collapse of 2008. The market vane bullish consensus index, another gauge of sentiment in the market, is now well below all time record lows. The next chart shows the four largest corrections during the current secular bull market and the length of time it took to reach new record highs. Although the current correction is terrifying for those new to the market, it is standard procedure for those that have been longer term buyers. 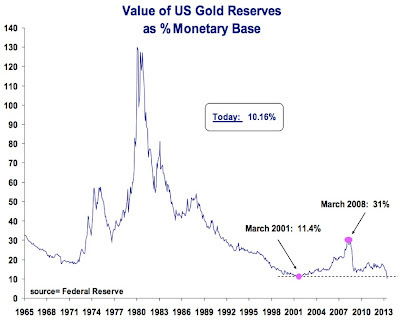 Finally we have the updated value of gold reserves as a percentage of the monetary base, or how much the reserves "back" the money supply at today's price of gold. 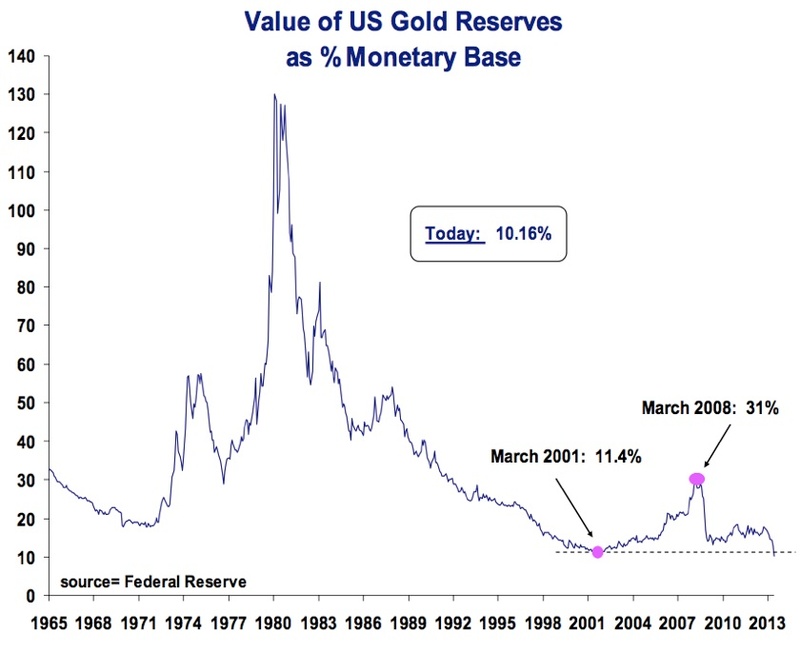 Using this estimate, gold is now cheaper on a fundamental level than it was in 2001. 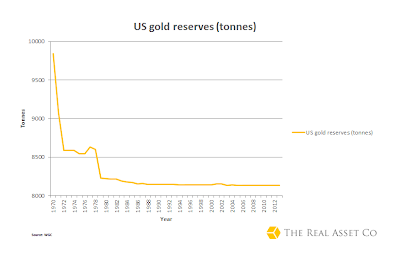 This is not due to the U.S. running out of gold reserves, which have held steady for decades (since the U.S. removed itself from the gold standard in 1971). 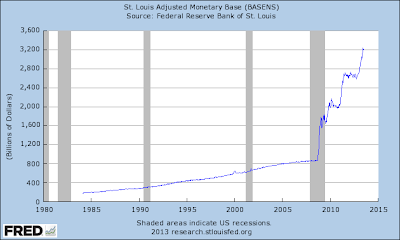 It is due to explosive growth on the opposite side of the ledger; the new paper money created.